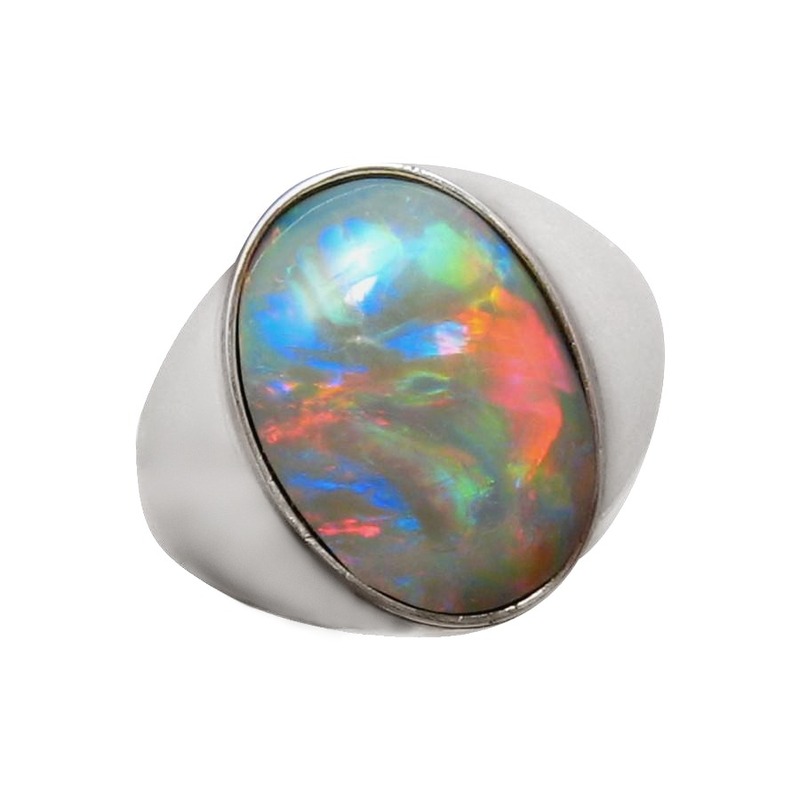 An impressive mens Opal ring with a large semi Black Opal in a wide 14k Gold band. In stock and ready to ship. 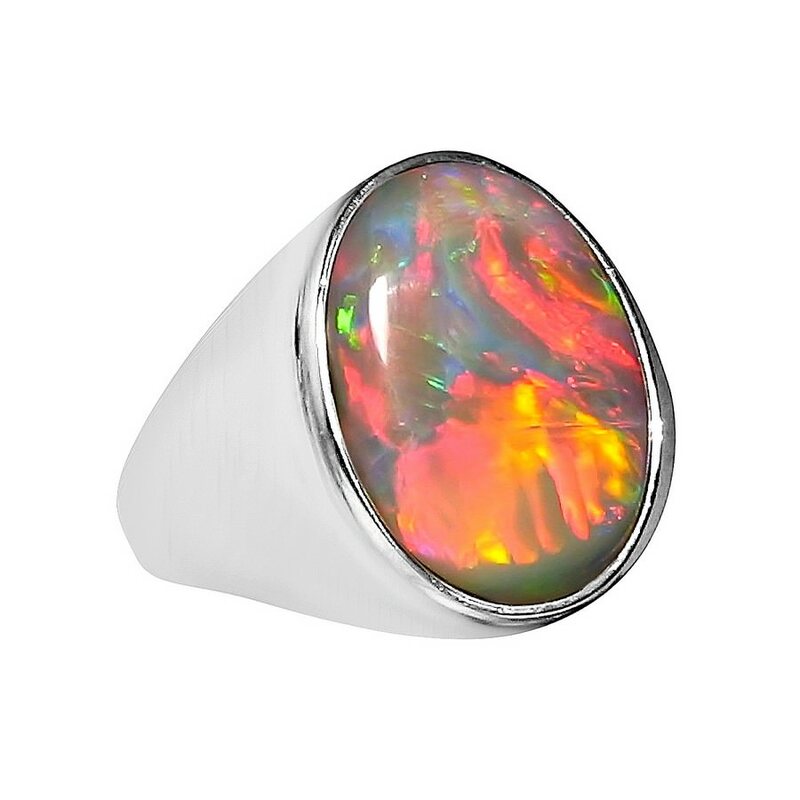 A ring for men that will be seen when worn considering the size, colors, pattern and brightness in the semi Black Opal. 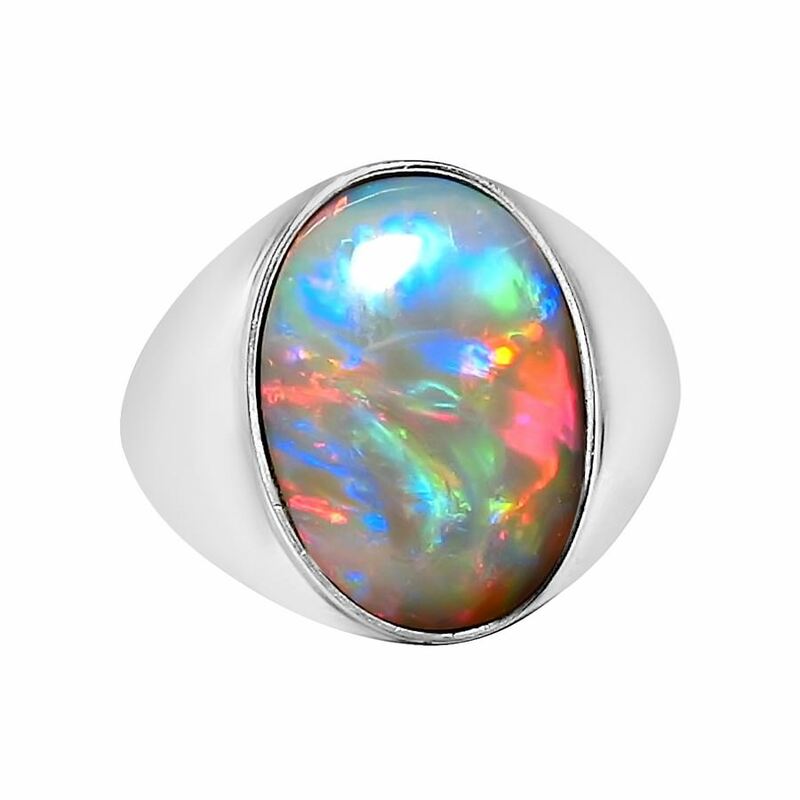 The ring is shown in 14k White Gold and features a Lightning Ridge Opal that displays a mix of colors including Red. These flash in a fantastic swirling patch play of color as you will also see in the video. Weighing 12 grams of Gold, the ring measures 16.5 mm across the top at the widest points and is ready to ship in a size 8.5. 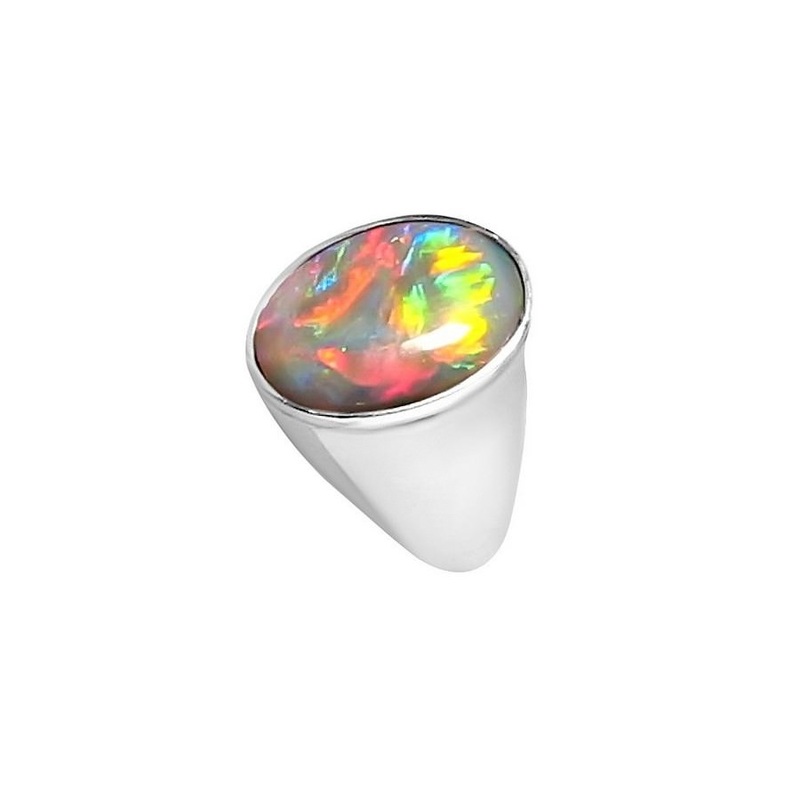 As the Opal is not yet inlaid in the ring, it can be made in any other ring size or Gold color which will take about one week to make before shipping to you. If you would prefer 925 Silver, contact through this product page to ask for pricing.